Here I am waiting patiently on the day of Visual Studio 2010 release and being rejected AGAIN. This happened to me last time the release was delayed on 22nd March and now it is happening again today. 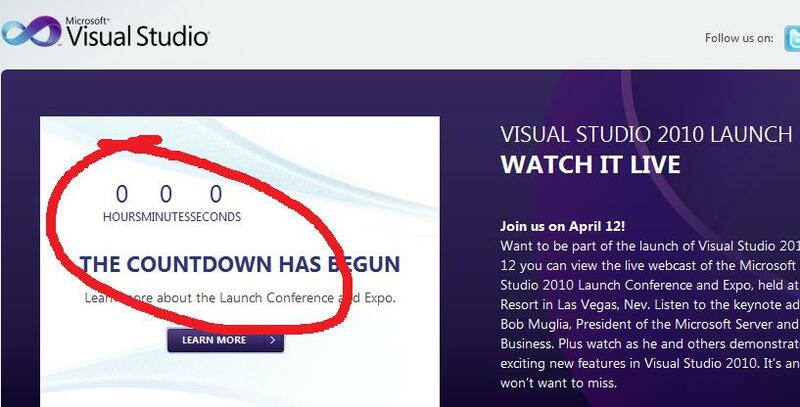 This is because it is supposed to be launched at 10am Pacific time 12th April 2010 (because the launch is in Las Vegas). Which over here in London will be 6pm.